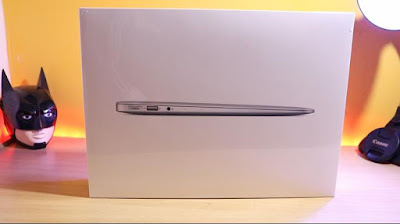 When recently, I purchased a 13.3 inches Apple MacBook Air Core i5 5th Generation at its current highest price of Rs 57,990, many of my colleagues questioned my prudence in going for it now, when I could have got it at a much-discounted price during the Big Billion Sale of Flipkart around the end of this year. They argued that when I had kept myself aloof from this laptop for so long, then what was the logic behind rushing for it now! To tell you the truth, initially, I too was reluctant to buy it at this price, now, when others have been able to set hands on it at around Rs 40,000 only. Despite having two desktops and the same numbers of laptops, I wanted one that was light in weight and had a good battery backup as I was fed up with a charging adapter being attached to my laptops most of the time. For few days, I contemplated going in with the latest series of HP laptop that comes with touchscreen and FHD IPS display along with 2GB NVIDIA graphics, which was just perfect for my video editing work. But, then again the same issue cropped in, they would not have met my purpose with their truncated battery backup. Apart from this, the touchscreen laptops are still not a success due to their unpredictable durability. Waiting for September seemed too long a journey, so in the end, I decided upon placing an order on Amazon. I was pleasantly surprised and excited too, when I received a message, the very next day, that my order would be delivered today. And, within no time, the delivery boy knocked at my door to deliver the package. This laptop comes packed in a shiny white premium hard cardboard box, which surely reflects a class of its own, an aura, which is associated with all Apple products. I definitely got thrilled and a big smile flashed across my face when I first set my eyes on it and the excitement to see what’s inside the box made my pulse race. On opening the box, I caught the first glimpse of the laptop along with all its accessories that were securely placed inside the box. My ardent desire to hold the MacBook in my hands reflected from my reflexes, when I instantaneously, but cautiously, pulled out the laptop from the box to admire its beauty. 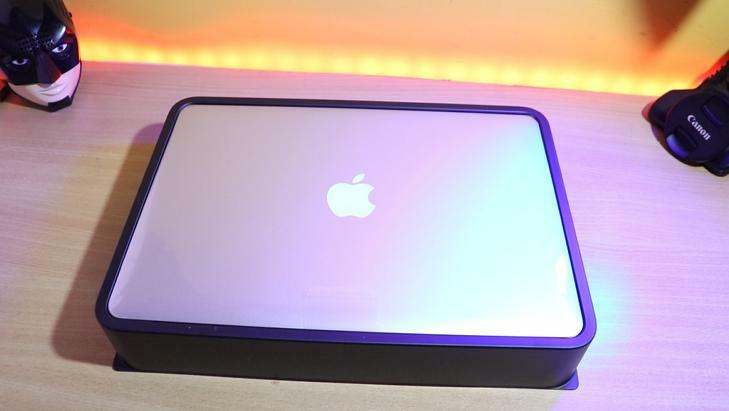 The laptop definitely looked premium with an aesthetically designed metal body, getting augmented in beauty by the apple logo that appeared carved on it. Now the craving to see the logo glow started building steadily inside me. After my first rendezvous with MacBook, I kept it aside to cast a glance on the other contents of the box. Inside was a charging adapter that alike the laptop had a premium feel attached to it. Along with it, came a manual guide and some Apple stickers. Allowing my impatience some more time to grow, I reluctantly agreed upon letting my laptop charge to its fullest before I switch it on. Finally, arrived the moment when I was to push the soft button on the extreme right to switch on the laptop. The laptop hardly took time to boot up. Much less than any HP, Asus, Acer, Compaq or Lenovo laptops that I had come across before. The Apple logo looked just fantastic and it set my heart racing with the enthusiasm of owning a MacBook. This is the last MacBook that has been graced with this glowing Apple logo, which was one of the reasons that prompted me to go for it now, as there was a burgeoning fear in my heart that stocks might finish and I would never be able to own a MacBook with a glowing Apple logo, which definitely adds to the charm of owning a MacBook. The back-lit keyboard instantaneously struck a chord in my heart and the regret of buying this laptop at a high price faded instantly. 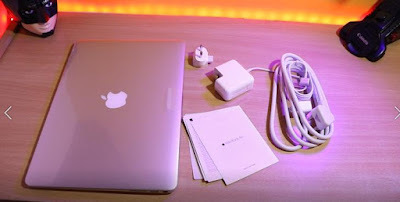 I am not going to deal with the technical specifications of this laptop as thousands have already elaborated on it, I would just like to convey to you the feel of owning a MacBook for the first time. The backlit keyboard is one of the best in its class, which is very soothing to eyes. You can work comfortably for hours in a dark room without straining your eyes. The metallic body of this laptop is not only aesthetically designed, but it is sturdily built too. Despite having a metal body, it is light in weight and very convenient to hold and move around. This laptop granted me the freedom from wires as the battery backup of this laptop is excellent. You can work continuously on it for 12-14 hours without having to charge it again. This is the main strength or USP of this laptop as it comes handy while travelling and in places where power failure is a frequent phenomenon. You’ll always remain connected to the world as long as you have it as a companion with you. The HD camera of this laptop is pretty good that makes yours skype chatting a pleasant affair with clear and crisp picture quality. The audio quality of this laptop is quite fascinating and different from others of its genre. And, I really like the way it sounds when you delete files from the recycle bin. And, above all the joy of owning a MacBook is incomparable to the joy of owning any other laptop. The different OS of this laptop, though, a bit unfamiliar to Windows' users is a delight to explore. You can comfortably type on it, do all your browsing, play light games and above all do video editing for your YouTube or other works. This laptop is so special that even after so many years of its launch, its craze is still on and when you own a MacBook, people look at you with a sense of awe in their eyes. The attention that you get owning a MacBook, can never be drawn by any other laptop of any other company. And, I can affirmatively conclude that this laptop is certainly an owner’s pride and others’ envy, so, if you want to experience the joy of owning a MacBook that has an Apple logo glowing on it, then rush to own one before stocks last. Very interesting article and nice to hear about a macbook by words of mouth, not like the bookish language articles.